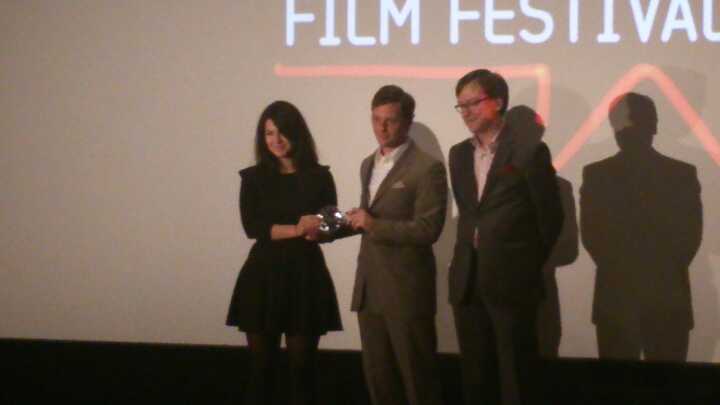 EIFF 2014 – Screenkicker at the Awards Show – Screenkicker! 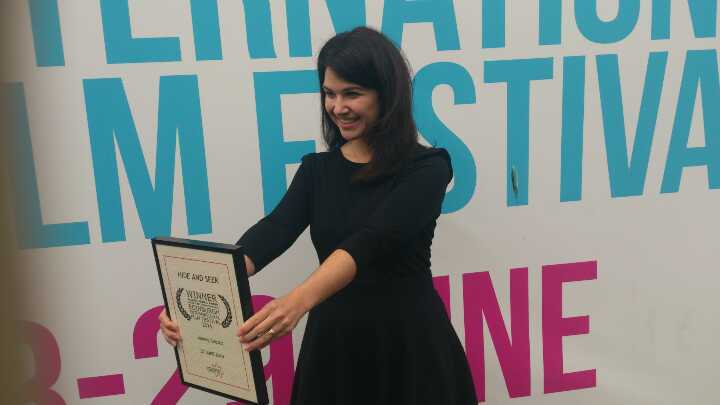 This was won by Director Farida Pacha for the documentary My Name is Salt. 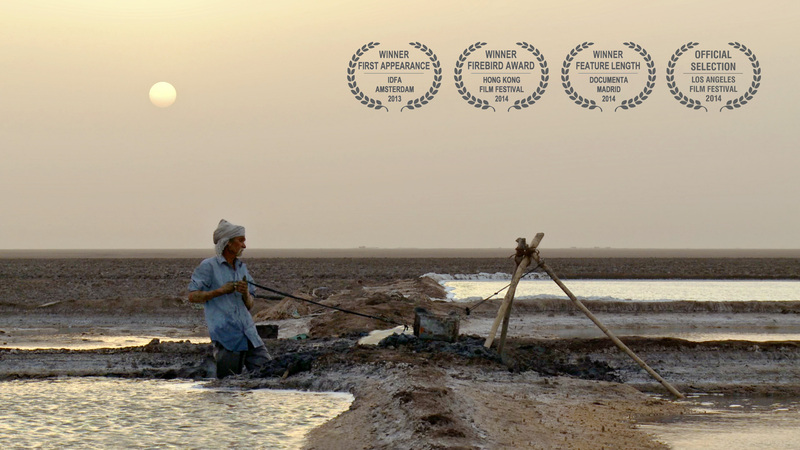 Its a doc about the families who travel to the desert in Gujerat, India to work for months extracting salt from the ground. And you thought your life was tough. Ice Poison (Bing Du) won this one. It tells the story of a young in Myanmar who becomes a drug runner to make a living. Not quite as bad a job as working on salt plains in India but not ideal either. Ice Poison is directed by Midi Z who was also nominated for the ‘Name most like a new Sony phone’ award (citation needed). 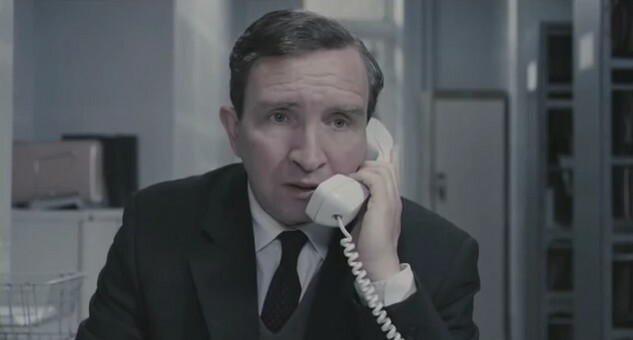 A hotly contested award, this went to stalwart of British cinema Eddie Marsan for his performance in the film Still Life. Marsan plays council worker who’s job it is to track down and deliver the news to families of people who have died in their homes. Now that job in the salt mines doesn’t sound so bad. Another excuse to use this pic! Me: So have you gone all Hollywood now that you’ve won a major award? Joanna: (Laughs) I’m three inches taller now, and my teeth have gone really white! Me: Do you usually get autograph hunters tracking you down?! Joanna: (Laughs, I must be hilarious!) No, I don’t think many directors do, it’s nice. Imagine if she hadn’t worn her lucky necklace! Congratulations to Joanna on that well deserved win and look out for her in the her upcoming role as director of Transformers 5. If you’d like to read more from Joanna then check out my interview with her and her husband and co-writer Daniel Metz here or check out the winning film’s website hideandseekthefilm.com. Hey that’s AWESOME!!!! 😀 Must’ve been fun! Were your seats all right? Hahahah! Lucky! So no infamous queuing, I gather! Please tell me you’re kidding bout the directing of Transformers 5. . . . . . . . .
Haha, do you really think Michael Bay would give up his cash cow?! It’s what pays for all his houses! Glad to see you’re having a good one! Sounds cool I want to see that Eddie Marsan flick. What are those naked people doing?? ?